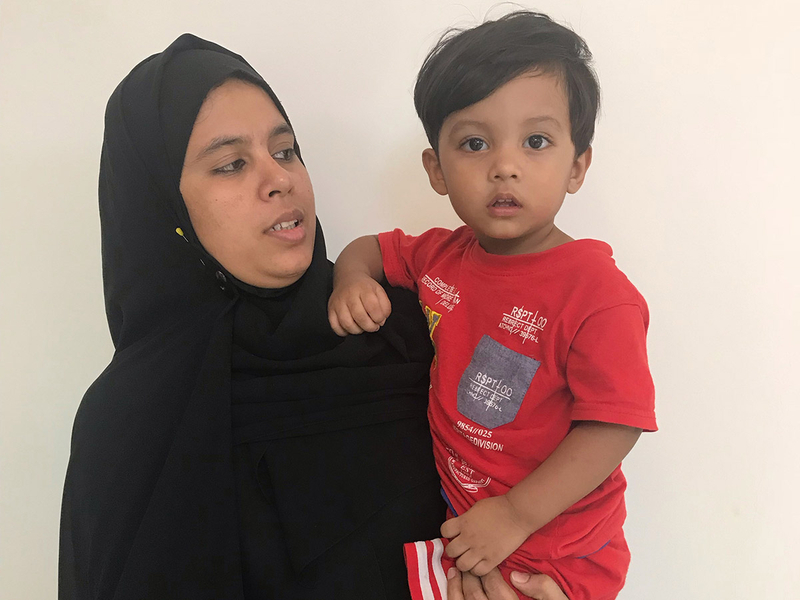 Dubai: This two-year-old Bangladeshi boy is unable to return home as his parents have not been able to secure an "out pass" for him under the UAE visa amnesty programme 2018. 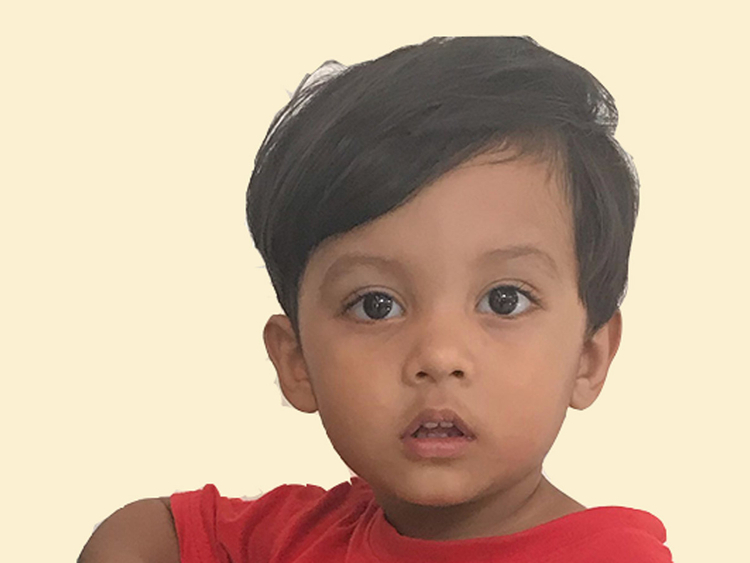 Hamdan bin Mohammad, 2, was born on October 31, 2016. 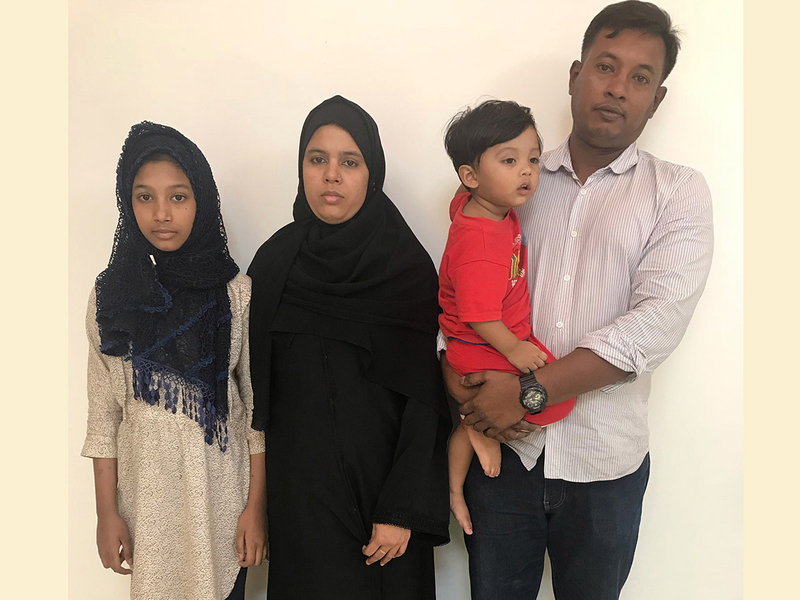 His parents — Mohammad Ismail Hazi Mohammad Musa, 38, and mother, Halima Begum Mohammad Ismail, 32, have been living illegally in the UAE and applied for an out pass — an exit permit — under the UAE government's amnesty programme. The UAE declared a three-month amnesty on August 1 that allows illegal expatriates to leave the country without having to pay overstay fines or getting a ban while, those who wish to stay may modify their residency status. This was extended in October by a month, with the new deadline falling on December 1. Mohammad, who worked as an AC mechanic for a Dubai-based company lost his job four years ago. The company he worked for closed down and Mohammad and his co-workers were left without work. “My company sponsor convinced me everything would be fine and I will soon start working," said Mohammad. "In the meantime my visa and that of my family expired four years ago. There was still no news of the company re-starting or getting my job back." Owing to the tight financial circumstances at home, Mohammad and his family moved to Ras Al Khaimah to live in his friend’s house. “My wife did not have any medical insurance or a valid residence permit, hence I could not open a file in her name at the Ras Al Khaimah hospital. So when my wife was due to deliver, she had to be admitted into the emergency section of a Ras Al Khaimah hospital. The hospital has not issued a birth certificate to the child owing to the pending bill. In September, Mohammad applied for amnesty for his family, but Hamdan was denied an out pass as he does not have a birth certificate. “I don’t know what to do," said the distraught father. "All I want is to pay this hospital bill and get my son’s certificate so I can send them back home. I have been given a second chance to work here in the UAE." "Looking at my work record, the Immigration authorities have given me a temporary work permit which is valid until April 15 2019. I hope to find a job by then. But first I need to sort out the situation with my family,” said Mohammad. At the time of going to press, no comment was available from the Ras Al Khaimah hospital. This newspaper also contacted the Embassy of Bangladesh and a social worker helping all those financially distressed in the community. The social worker said the community would come together to help the father settle the hospital bill. This is yet to be confirmed. Individuals who are staying illegally in the country can apply for amnesty, which was offered for three months from August 1 to October 31. The deadline was extended until December 1. Those who wish to exit the country can go back to their home countries without paying fines or facing jail term. Or individuals can regularise their status by getting a new visa under a sponsor. They all exit the country with a two-year ban. But there is no permanent ban and people can reenter the country on valid visas. Applicants of amnesty will get a waiver on all overstaying fines. People who have been blacklisted those who have legal cases against them are not eligible for amnesty. All residency violations will fall under the amnesty scheme. Those with an absconding report can also apply for amnesty. The immigration authorities will remove the absconding report and issue exit permit without ban. Individuals have to exit within 10 days of getting the exit pass.